As a consequence, the global PM community now has a set of basic standards that will remain stable for the next four years through to the next cyclical update scheduled for late 2016. The tight integration between all three standards means minimal duplication of ideas and best practices. Whilst each of the PMI Credentials tends to focus on one of these three standards, the key thing from an organisational perspective is they are integrated, and after this round of upgrades better integrated than ever! The Portfolio Management standard focuses on the investment decisions needed to select the best projects and programs to start and maintain to achieve the organisations strategy within its resource constraints. Selecting the ‘right projects and programs to do’. 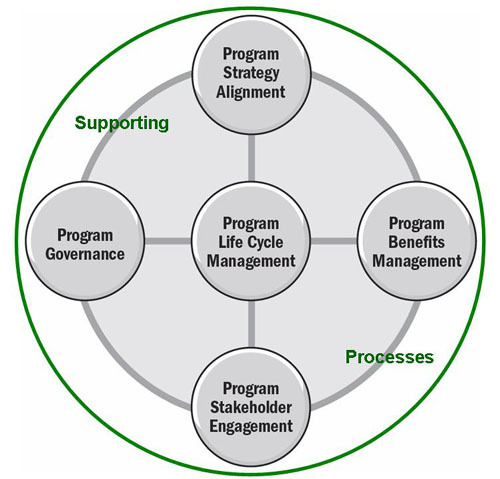 For guidance on ‘doing them right’, the Program Management standard focuses on the business outcome and integration aspects of program management and the PMBOK® Guide covers off the basic skills and capabilities needed to deliver the project outputs efficiently. Each standard can be used in isolation; however, the real power lays in using all three as a framework for organisational improvement – Creating an effective Project Delivery Capability (download our PDC White Paper). The final missing link, PMI’s updated OPM3 standard will be released later this year. 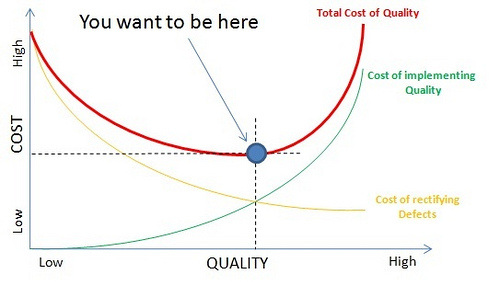 This means that organisations interested in developing a best practice capability across the ‘enterprise’ aimed at achieving the maximum sustainable value from its investment in projects and programs now have an ideal opportunity to buy into current thinking via these standards and time to develop improved processes. We have enjoyed working through the standards and writing this series of posts on the improvements (for previous posts click here) – but 4 months down the track we now consider these ‘new’ standards business as usual, have consigned the ‘old’ standards to history, and will make this our last post on the updates. Our very last PMP and CAPM course based on the ‘old’ standards will be run at the end of May (course details) and then we will be 100% aligned to the new and improved versions. We encourage everyone else to do the same. Updates to our CAPM, PMP and PMI-SP courses are planned and under development – our new Mentored Email™ courses will start in late April. The initial rush of people interested in buying the 5th Edition has subsided and we are effectively out of stock of the 4th Edition. Overall as we become more familiar with the 5th Edition we are finding it to be a significant improvement. There are certainly a few issues and problems highlighted in earlier posts in this series (view the full series) but the enhancements significantly outweigh the odd regression. One of the minor but important improvements is he ranges for cost estimates are back to the industry standards of -25% to +75% for ROM and -5% to +10% for detailed estimates. This pessimistic shift in the ranges more accurately reflects reality. – the role of the project manager. Chapter 2 focuses on organisational influences including the influence of project stakeholders and governance on the project team and the overall project lifecycle. 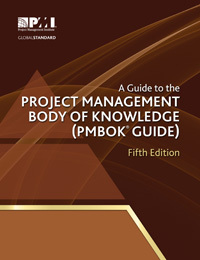 Chapter 3 looks at project management processes and the structure of the rest of the PMBOK. The reorganisation of this front section, facilitated in part by the move of the ANSI standard to Annex A1 is probably the quiet achievement in the standard. The section flows far more sensibly and logically than in previous editions. In conclusion – the quality of the PMBOK® Guide 5th Edition has been enhanced by hundreds of small changes that make the work of transitioning our course materials hard work and will certainly require some hard work from anyone who has to update their exam preparation. So a word of warning: If you are trained for the current exam make sure you sit before the change over dates – PMI do not have any flexibility in the timing of the system changes!! This includes re-sits. After the change over date, all new exams are based on the new standards. But once through these changes we certainly have a better book for the next 4 years and the development team deserve congratulations for a job well done. The publication of the third edition of PMIs Standard for Portfolio Management represents a significant step forward in linking the performance of project and programs to the achievement of the organisations vision, mission and strategy. One of the key additions is the introduction of the ‘Portfolio Strategic Management’ process group. The standard’s fundamental proposition is that efficient portfolio management is integral to the implementation of the organization’s overall strategic plan. While project and program management focus on doing the work right, the purpose of portfolio management is to ensure the organisation is investing its limited resources in doing the right work. As with any portfolio the optimum return is achieved through an appropriate diversification of risk. Short term, low risk, low return projects will not build the organisation of the future, investments to maintain and expand current capabilities need to be off-set by some future focused, high risk high reward projects to develop new capabilities, products or services. The challenge is developing a balanced portfolio that maximises stakeholder value overall, and this needs a practical strategic plan as the basis for developing the portfolio strategy. The updated Standard for Portfolio Management provides an authoritative resource to assist organisations in the overall development of an effective value delivery capability. One of the elements we really like if that PMI have separated the management of the portfolio (effectively investment decisions and oversight) from the need for organisations to manage their project delivery capability. The ‘enterprise project management’ system that develops and nurtures project delivery capability (see: PCD White Paper) should be quite separate from the portfolio investment decision making process. There is a fundamental conflict of interest created if the same management body is responsible for decisions to ‘kill’ projects that are no longer viable whilst at the same time supporting and nurturing the project team to help them remain viable. PMI have not fallen into this trap! !